There are two indisputable facts surrounding Target’s decision to allow men to use the same bathrooms and changing rooms as women and little girls. First, Target’s stock has taken pounding since April. Second quarter earnings fell to $680 million, according to Market Watch. And revenue fell 7.2 percent. Second, more than 1.4 million consumers have joined American Family Association’s nationwide boycott of the nation’s second-largest discount retailer. The debate is whether there is a correlation between those two facts. Target CEO Brian Cornwell told Fortune magazine in May that the transgender bathroom policy has nothing to do with their financial wellbeing. 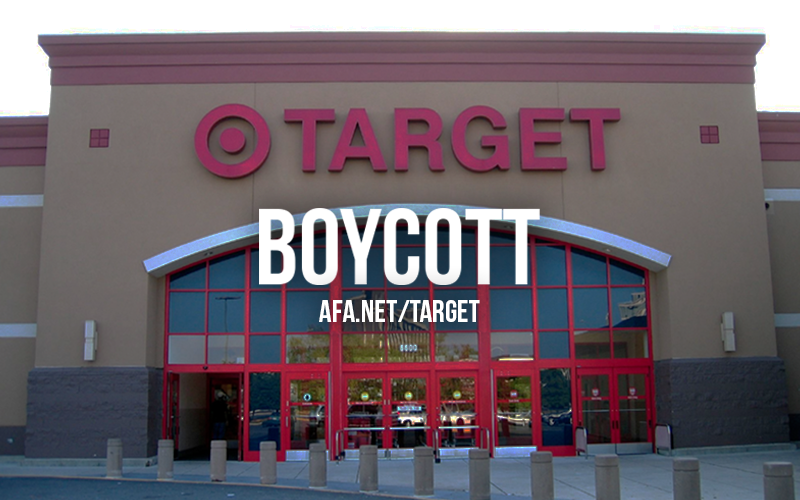 But American Family Association believes their boycott is having a significant impact on Target’s bottom line. Last week, Target announced they would be spending millions of dollars to add private single-stall bathrooms at many of its stores. “It’s clear that some of our guests like and some dislike our inclusive bathroom policy,” Target chief financial officer Cathy Smith told Fortune. That’s what we call an understatement, kids. AFA says Target’s single-stall bathrooms will still endanger women and children. Therefore, they plan to continue the boycott. “We still believe Target doesn’t value the safety of families because they’ve refused to reverse this dangerous policy,” Wildmon said. In a letter obtained by Fox News, Wildmon explains his concerns to Target’s chief executive officer – Brian Cornell. Wildmon noted incidents involving such activity at Target stores in Massachusetts, Idaho and Texas. “Unisex bathrooms are fine, but our request has always been that Target maintain the gender-specific bathrooms as well – if the company is interested in guaranteeing the safety and privacy of women and girls who patronize the retailer’s stores,” Wildmon wrote.